GoRedChef: Journey Of A Foodie Fool: Tres Leche Tropical! 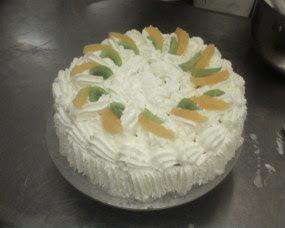 Another cake I made in skool today...this one is tres leche. this one has orange segment and kiwi on top.